Should I Get a Cardiac Stress Test? A cardiac stress test is an exam that’s commonly performed to determine whether you may have heart problems. Although it’s not necessary for everyone, it can provide your doctor with valuable information under certain circumstances. A cardiac stress test is an exam that shows how well your heart handles physical activity. Your heart rate, breathing, and blood pressure are all monitored during the test, as well as how tired you feel during exercise. It measures blood flow to your heart when you’re at rest and while you’re exercising, which makes your heart pump more blood. It also shows whether the arteries that supply the heart are blocked and if your heart has been damaged by an event such as a heart attack. You’ll be hooked up to equipment that monitors your heart as you walk on a treadmill. The speed and incline will be increased. If at any time you’re uncomfortable and want to slow down or stop the test, just let the test administrator know. You may also be asked to breathe into a tube for a few minutes, and after the test, you’ll sit or lie down and have your heart and blood pressure checked. Who is a good candidate for a cardiac stress test? 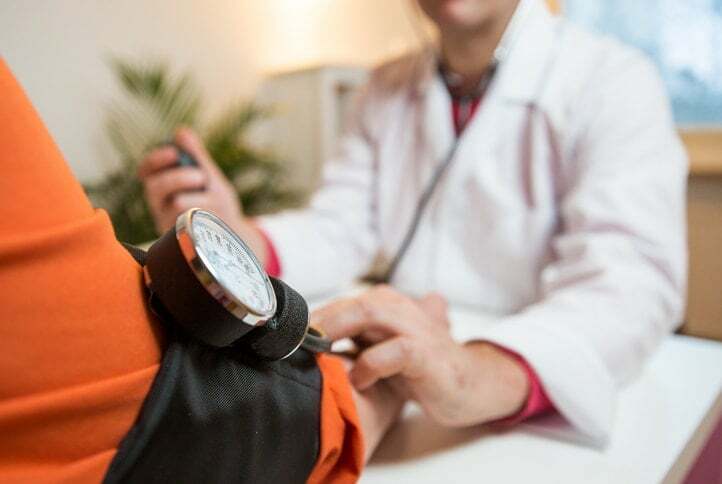 Help in diagnosing the cause of symptoms: If you’ve having symptoms such as shortness of breath or chest pain, a cardiac stress test can give your doctor more information that can aid in a diagnosis. Predicting future heart problems: The test may not reveal every problem that could lead to heart issues such as a heart attack, but if you have to stop the test early, it can be an early predictor of blockages and future cardiac events. Looking for abnormalities in heart rhythm: Some arrhythmias (irregular heart rhythms) can be detected only during exercise. Checking for issues if you have certain diseases: If you have a history of heart disease, risk factors, or diabetes (which can harm your blood vessels), your doctor may recommend a stress test. Determining how much exercise you can handle: For patients who already have had a heart attack or who have heart disease, a stress test can help determine how much exercise you can safely tolerate. What health issues can a stress test help prevent? Good results can’t guarantee that you won’t have future problems, but the test does give your doctor important information about risks you may face. Poor blood flow in the heart muscle may indicate blockages that could lead to a heart attack. In addition, dead tissue may indicate that you’ve already had a heart attack and that you and your doctor should take steps so you can possibly avoid having another such event. Irregular heart rhythms or other symptoms can also point to coronary artery disease, including blocked arteries. If your doctor detects a program, you may need more testing, or you may be advised to begin treatment. If you have symptoms or conditions that may point to the need for a cardiac stress test, contact us today for an evaluation with Park Avenue Medical Professionals. We’ll determine whether a cardiac stress test can give us more information so we can provide the best possible treatment. Fill out the form on this page to request an appointment or call 212.427.2000 to learn more.